Monthly I publish a film review for Touchstone (the New Zealand Methodist magazine). Stretching back to 2005, some 90 plus films later, here is the review for May 2015, of Big Eyes. Big Eyes is a feel-good biographical drama, based on a true story, drawn from the life of contemporary American artist Margaret Keane. The title is a reference to Margaret’s approach to art, in which her subjects, mainly women and children, are painted with oversized eyes. While, it was a distinctive style that brought mainstream applause in San Francisco throughout the 1960s, behind the big eyes was a darker story that needs to be heard. Big eyes are not only an approach to painting. They are also a posture. Two key scenes in the movie involve big eyes looking down the camera lens. In one, two males eye the paintings of Margaret and her husband Walter, debating their quality. This “big-eyed” scene sets up the early plot tensions, including the gatekeeping role of galleries and the patriarchal male gaze that would trap Margaret for much of her creative life. In a second scene, toward the end of the movie, Margaret Keane eyes her art works. She is alone and this scene, in which pairs of women’s eyes gaze intensely, painfully at each other, artfully captures the big-eyed lies in which Margaret finds herself trapped. Big-eyed is also a theological theme, a way to understand the movie’s portrayal of faith. As the movie reaches for its feel-good climax, Margaret finds herself lonely in Hawaii. She is befriended by door knocking Jehovah’s Witnesses. In a pivotal conversation, Margaret’s daughter (Madeline Arthur) asks the Jehovah’s Witnesses if their God is OK with suing. The question results in the climatic court action, through which truth is told and justice enacted. It is a reminder of the ethics that result when one has faith in a “big-eyed” God who is understood as speaking up for the rights of the widow and orphan. Director Tim Burton, his skills honed over forty movies (including Edward Scissorhands, Beetlejuice, Charlie and the Chocolate Factory and Alice in Wonderland), continues to showcase his movie-making skills. Big Eyes offers some lovely directorial moments, including the appearance of the actual artist, sitting on a park bench in the background, as Walter and Margaret first meet. It provides an ethical reminder that this story is being told with Margaret’s approval, unlike the web of lies spun around her by her first husband, Walter. The script writing of Scott Alexander and Larry Karaszewksi offers some memorable dialogue. These include the multiple levels of irony in Margaret Keane’s statement, that the eyes are a window to the soul and Walter’s delighted cry, “We’ve sold out” at the end of another successful art show. The movie, in dialogue, plot and character explores the moral complexities of art and celebrity. Alongside the fine performances by Walter Keane (Christoph Waltz) and Margaret Keane (Amy Adams), Big Eyes provides a heartwarming, yet revealing, window into the soul of contemporary culture and an object lesson in the Christian affirmation that truth shall indeed set you free. Delighted that my conference paper for the 2015 Ethnography and Ecclesiology Conference, September 15-17 has been accepted. In this paper, I will be trying to unpick some of the complexity around studying the living church. Picture this – Augustine withdrawing his approval for you to use his Confessions in your research, because the letter belongs to him. The Ethiopian Enuch shuffling into your sermon on Acts 8, and putting up his hand at the end to ask a question of your exegesis of his community. 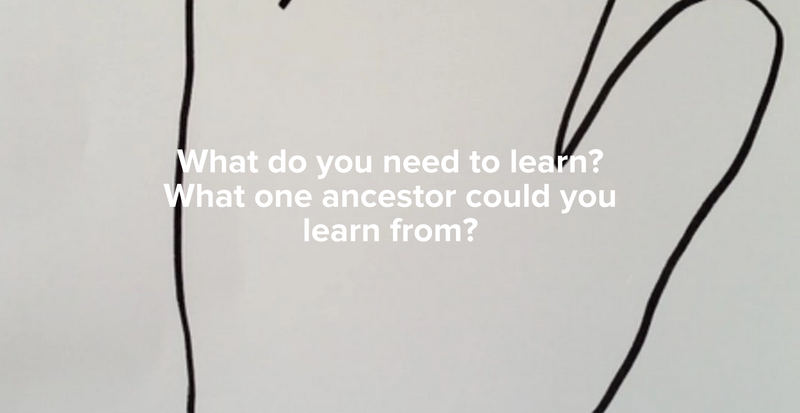 Such is the complexity that surrounds doing ethnographic research on the church today – when our participants are still shaping the research process. I want to explore the limits and opportunities that result. It will be my 3rd conference visit to Durham, having been there in 2010 (for the Fresh Expressions Research conference) and 2011 (for the first ever Ethnography and Ecclesiology Conference) and I’m looking forward to being in that beautiful, historic and compact city again. Implicit in the project known as ethnography and ecclesiology is a reconceived epistemology. The turn toward lived experience, along with a commitment to both empirical and theological understandings, ushers in a set of ambiguities. These tensions, while disturbing Enlightenment notions of objectivity, hard facts and replicability, if conceived accurately, can become a rich source of data. One set of tensions is between researched and researcher. To focus on these interactions is consistent with the argument by Paul Fiddes that empirical-ecclesiological study is a shared habitus characterised by relationships in which Christ can be embodied (Perspectives on Ecclesiology and Ethnography (Studies in Ecclesiology and Ethnography) ). It is also consistent with the particular complexities of empirical-ecclesiological study, in which, unlike historical-ecclesiological study, the researched are active agents. The interaction between researcher and researched will be examined through the lens of activist research. Charles Hale defines activist research as distinct from pure and applied research, with implications at every stage of the research process. First, the research by Paul Bramadat of the activities of an Evangelical Christian Group on a Canadian University campus (The Church on the World’s Turf: An Evangelical Christian Group at a Secular University (Religion in America Life) ). His theoretical commitments are disturbed as Bramadat realises that the community has welcomed him because of their desire to convert him. Second, the research by Steve Taylor of an emerging church in New Zealand. During the research, the attempt to locate the researcher as objective and detached was challenged in a focus group as unhelpful for this community. Third, the research by Robert Orsi of contemporary Catholic religious practices in USA (Between Heaven and Earth: The Religious Worlds People Make and the Scholars Who Study Them ). He finds himself questioned by a participant. How can he as a researcher understand the researched unless he shares their beliefs regarding the practices (of prayer) being studied? In each study, the researcher is challenged by the “activism” of the researched. 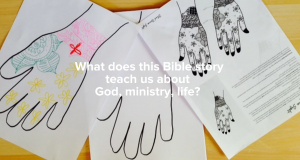 Fourth, the teaching of an undergraduate University topic, reshaped in light of the epistemological demands inherent in ethnography and ecclesiology. Changes included bringing activists into the classroom to present their research in a case study format and expecting students to engage in the class as “activist researchers.” Feedback demonstrated increased levels of student engagement and a redefinition of their understandings of ecclesiology. However it also indicated that the “activist” shift resulted in a more contested space between individuals within the classroom. What becomes evident in each of these four studies is that activist research is a helpful lens by which to understand ecclesiology and ethnography. Categories of pure and applied are contested as the researched asks fundamental questions in the research of the researcher. 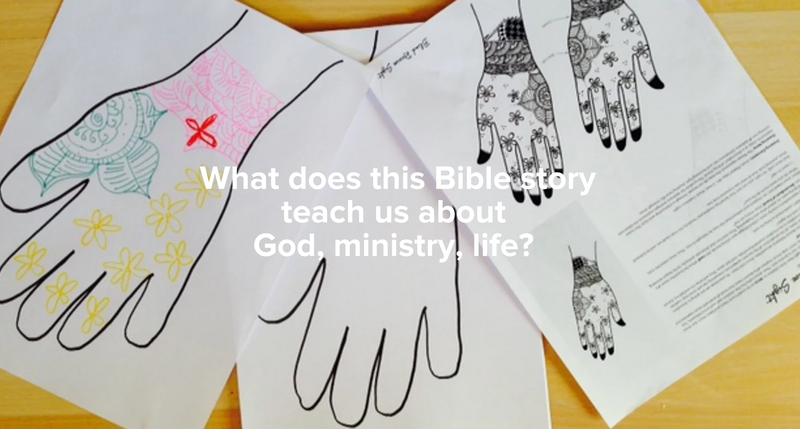 This provides a way to theorise the relationship between social science methods and theology. The turn toward ethnography and ecclesiology is based on a reconceived epistemology, in which research is relocated as a set of “activist” practices in, with and among communities. I led chapel today and had the sense that it worked brilliantly, offering a space that for many, provided a deep sense of connection with God. 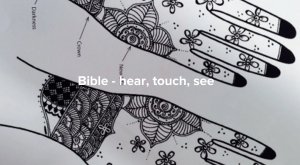 It connected with a range of senses, including seeing (contemplating the icon), touching (choosing a symbol of vocation), hearing (each others breathing), tasting (the communion elements). Let me explain. After referencing Pentecost Sunday and inviting a call to worship, I introduced the icon, “Holy Theologian Bernard Lonergan in the Mystery of the Eternal Processions of the Most Blessed Trinity,” painted by Fr. William Hart McNichols. I gave folk a few minutes in silence to consider it. I then offered some explanation. I introduced a quote from Fred Crowe’s biography of Lonergan. I noted that I have been reading Bernard Lonergan as part of my missiology research in recent weeks. I described how research involves lots of reading and how as part of my research, I had discovered the icon. Which I have pinned to my desk. And how it then provided another dimension to my research, inviting prayer along with my reading. I noted a few features of the icon. It references a painting by Lawren Harris, with Canadian landscape in the background. The light around the pine trees expresses a sense of God’s encounter with Lonergan’s vocation. On the floor of the chapel I had placed books, pens, pads, name tag holders, white board markers, Bibles. I noted how in the icon, Lonergan was bent down in front of a book, a symbol of his vocation. I invited folk to pick up something from the floor that expressed their current vocation – as student, as lecturer, as administrator. Once collected, I invited folk to return to their seat and lay it down at their feet, much like Lonergan had. I then invited us, as Lonergan was, to look up, expectantly, attentively. Suddenly each of us were engaging with the icon not just as something visual that we were looking at, but as something we were physically participating with. Our bodies were becoming more deeply connected. I noted how in the icon, the Spirit spoke as Lonergan looked up. So what one word might the Spirit be wanting to speak to us, as we looked up from our vocations? Which meant that we all as a group had now moved into a time of lectio divina. We had move from sermon to prayer, from explanation to worship. I maintained this space by introducing a series of breath prayers. We breathed in strength, freedom, hope and love; and breathed out exhaustion, self-doubt, distrust and hate. That sense of looking up, expectantly, attentively, was maintained through the in and out of our breathing. There was by now a palpable sense of God in the air as together, looking up from our individual and diverse vocations, we continued to connect with God. A seque into communion then occurred, by inviting folk to place their symbol on the communion table. Our vocations were recentered by bread and wine. We continued to breath together as we encountered grace in the sacraments. There were many people expressing thanks at the end, for the richness and depth, for the dignity given to the practice of theology, for the space to breathe in God. In just over 20 minutes, we had worshipped, prayed, participated in the sacraments, in a way that connected our ordinary and everyday vocations with Divine presence. 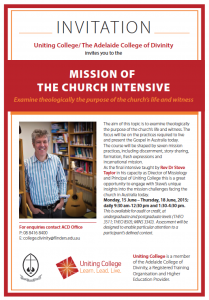 So there will be an introductory morning around what is mission. Then a half day each per discipline. I am using this framework in order to focus on mission as practise based, an integration of theory and practice. The 5th day will be done in the persons own time. This will involve visiting a case study of their choosing, from around their context, in order to explore a grounded example of mission. The classes will be shaped interactively. I will come with some stuff, but will work to ensure that needs of the participants will be a shaper of the direction of the class. I will be involving two visiting lecturers, in order to broaden and enrich the experience. 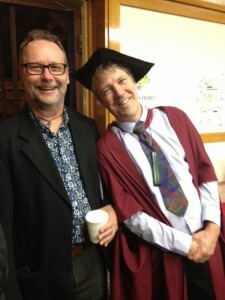 One has completed PhD study on congregations and agencies and how those relationships might be enhanced. They will help us explore the discipline of incarnational mission, with particular application to how social justice and mission projects integrate with the life of the inherited church. The other is doing PhD study on people coming to faith in Australia today. They will use this data to help us explore evangelism, by weaving in their cutting edge research into conversion today. 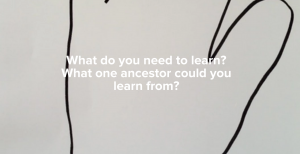 I want to find a way to reference every single thing I’ve written while in Australia in the last 5 and a half 5 years, so that an integrating thread through the time is my own mission thinking, whether in indigenous communion practices, community gardens, U2 concerts or art and spirituality spaces. 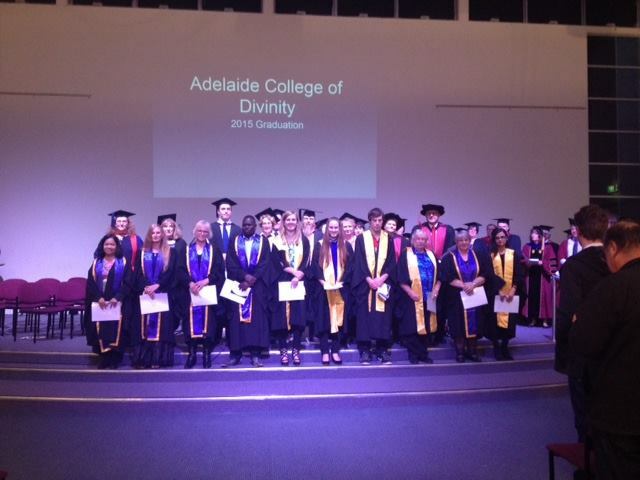 For more information or to enrol, contact the Adelaide College of Divinity. Traditional research methods are used to “avoid creativity” (179) Such is the provocative challenge by Helen Kara, Creative Research Methods in the Social Sciences: A Practical Guide . She argues that traditional research value hard facts and replicability. In so doing, it ignores contextual specificity and limits the knowledge, experience and skills that many sectors of society can bring to the table. Kara is an independent social researcher. As a result the book is practical, filled with examples of research. The focus is on four methods of creative research: art-based, technology, mixed-method and transformative. Each are tracked through processes of ethics, data gathering, analysing and communicating. The bibliography, running at 19 pages, is a reassurance that creativity in research does not mean a decline in quality and rigour. I really like the way she includes a chapter on writing and another chapter on presentation. This in itself is a reminder that an essential part of research is how we communicate our thinking. As Kara explores graphs, art, technology, I was struck again by how narrow is the world of thesis and journal articles. I’m encouraged to read Creative Research Methods in the Social Sciences: A Practical Guide alongside Colouring Outside the Lines. 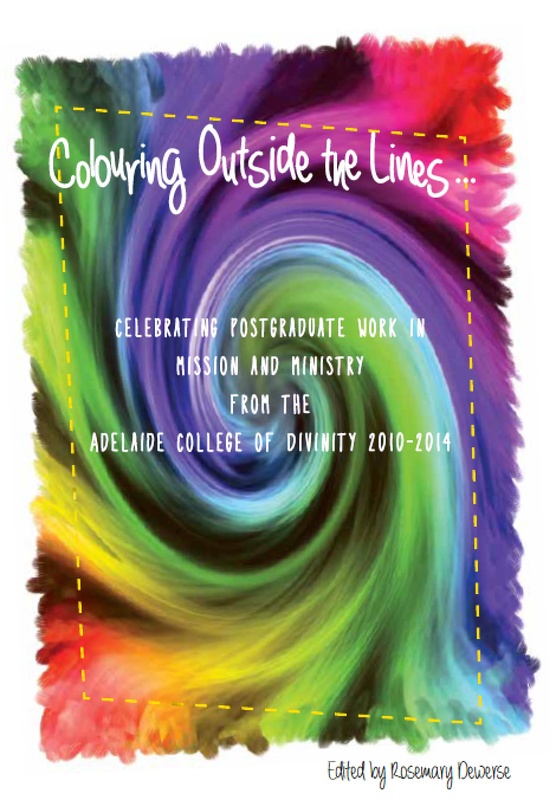 Celebrating postgraduate work in mission and ministry from the Adelaide College of Divinity 2010-2014 (more here). 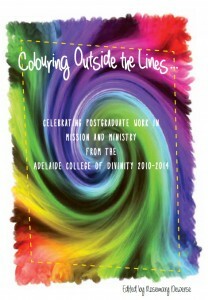 Many of the essays from our Adelaide College of Divinity post-graduate students are creative in their research. Reading Kara’s Creative Research Methods in the Social Sciences: A Practical Guide also brought to mind a recent post, in which I ponder activist research (one of the methods praised by Kara) and consider it theologically. Overall, Creative Research Methods in the Social Sciences: A Practical Guide feels emancipatory. It wants to see all sorts of knowledge and experience woven into quality research, incorporated in ways that still value ethics, planning, analysing, communicating. Kara is aware that this requires risk, primarily for the status quo. But it does provide some intriguing possibilities, especially in seeking to integrate communities and leaders of communities into the real-life change possibilities that should be inherent in research. I’m teaching a four day intensive on mission, June 15-18. It’s placed deliberately just prior to Presbytery and Synod, hoping to make it easier to access as study leave for ministers in placement. I will focus on seven practices of mission, with the use of case studies to ground and enrich. 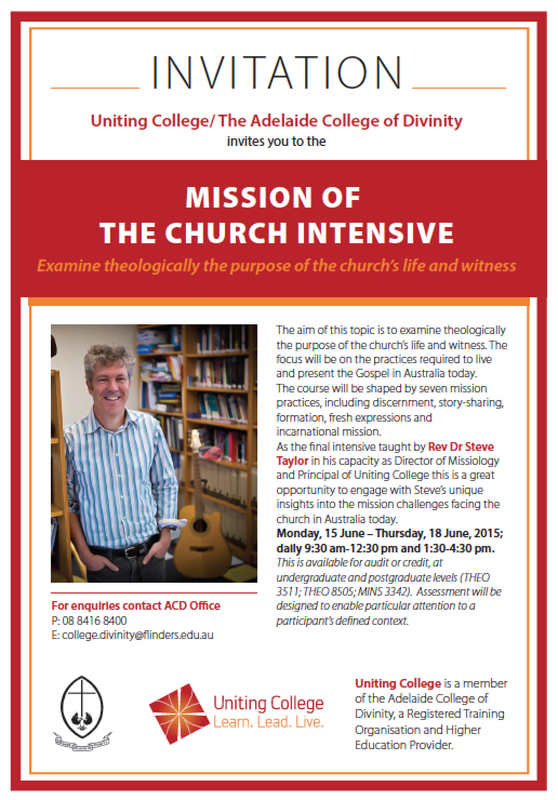 It will be the last intensive I’m likely to teach in Australia in my current season as Missiologist and Principal of Uniting College. So I’m hoping it will be a rich “teaching” swansong and an opportunity to pull together my missional reflection that has emerged in the last 5 years grounded in Australian soil.